Tram or train rails are subject to constant wear either due to corrosion or due to friction during use. Rails are checked for wear completely automatically using a system developed by Micro-Epsilon. A test car records the surface profile of the rail during the journey. 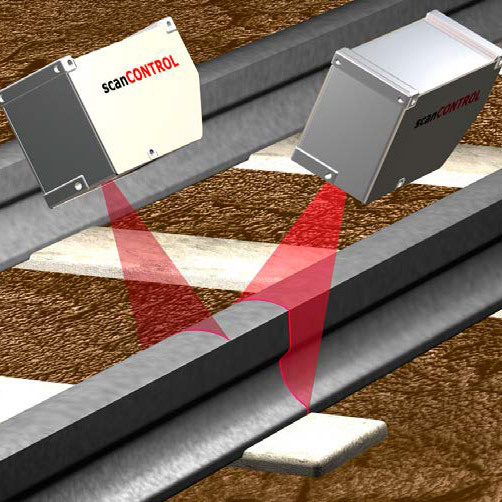 The data obtained is compared with standard values and if a section is recognised as worn down, the system stores the track section for later maintenance. The profiles are measured using several line scanners of the type scanCONTROL 2800.